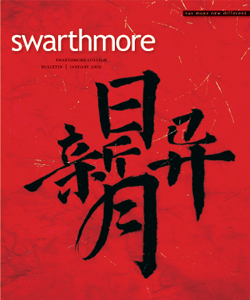 In her memoir Snow Falling in Spring: Coming of Age in China During the Cultural Revolution Moying Li offers a vivid and moving portrayal of her life from summer 1958 up to the day she left her homeland on the journey that brought her to Swarthmore College. She was one of the first students to leave China since 1949. 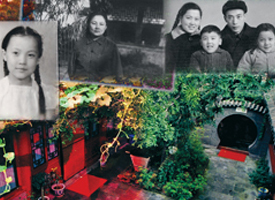 It took me over 20 years to return to my grandma Lao Lao’s old courtyard in Beijing, where I spent much of my short childhood. I was shocked to find it gone. Bulldozed. Wiped from the face of the earth. It was like discovering that a dear friend had died and realizing I had been robbed of the last chance to say goodbye. I sat on a pile of shattered gray bricks—the only remnants of my grandpa Lao Ye’s labor—watching the brisk November wind lift the withered leaves from the dusty ground, up and up and away from me. Then I closed my eyes—to remember. Editor’s Note: Following are edited excerpts from a journal written by Linnea Searle (known in college as Karen) while she was a university student and teacher of English in Beijing from January to May 1989. As a young speaker of Chinese, she could closely observe the democracy movement that is now known as Beijing Spring. The names of her Chinese friends have been changed, but events are recorded as she experienced them during that tumultuous spring. The name of the photographer must be withheld to this day. If particles had personalities, what a family they would be! Quarks are so cliquish that they travel only in groups of three and are never seen alone. Flashy photons, all style and no substance, travel everywhere at the speed of light. 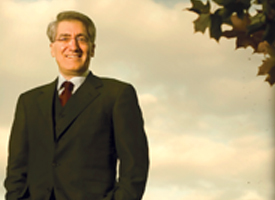 Robert George ’77, a leading conservative public intellectual, remembers the precise moment that he was set on the path to becoming an academic: It was when he first encountered Plato’s dialogue Gorgias in Kenneth Sharpe’s political theory seminar. On October 9, I left the United States on a remarkable journey. Just three weeks earlier, Natasha Franceschi ’96 had e-mailed Swarthmore’s Political Science Department, asking if we had a faculty member who could speak about the upcoming United States presidential election—in Kazakhstan. Peter Andreas is a master at uncovering the secrets behind the official stories. Blue Helmets and Black Markets: The Business of Survival in the Siege of Sarajevo looks beyond the popular tale of the siege—local heroism, struggles for freedom and survival, and white knights of humanitarian intervention—to reveal a darker side of the battle to save the city from the Serb onslaught between 1992 and 1995. When I found myself in Barack Obama’s campaign field office in South Philadelphia on Election Day—where I had worked for the past month—I couldn’t help feeling somewhat surprised to be there. There’s no question that we are in the midst of significant political, economic, and social changes. This issue of the Bulletin looks at change in another era and another country—China. 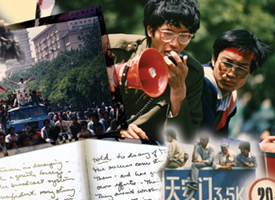 Moying Li M’82 and Linnea Searle ’84 describe their experiences with the Great Leap Forward of the late 1950s and the Beijing Spring of 1989. WATCH: Haichao Wu creates the Bulletin cover. Her passions are volleyball and teaching; her philosophy—to maximize all opportunities. Harleigh Leach Chwastyk was just 24 and completing graduate studies at Smith College when she was named head coach of Swarthmore’s women’s volleyball team in 2002. The view from the ninth and top floor of Boston’s City Hall comes gratis with Kairos Shen's job as chief planner for the city. Shen was appointed to the position in January 2008 by Mayor Thomas Menino. Shen is also director of planning for the Boston Redevelopment Authority, where he has worked for 15 years and been director for seven.